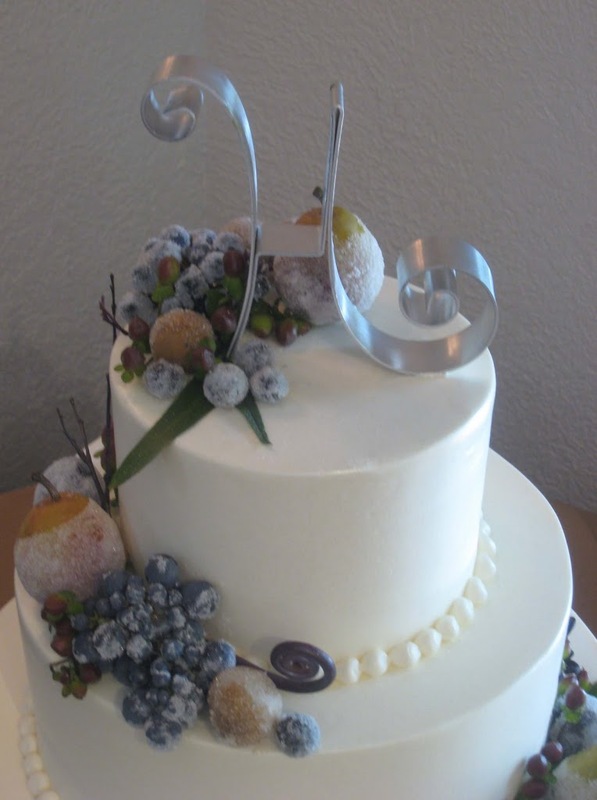 This was a very simple elegant wedding cake iced in Italian meringue buttercream with sugared wine and concord grapes, pears, lychees, figs and plums. I added a few monkey tail ferns, brown branches, berries and eucalyptus leaves. A bit different in style, this cake was also iced in a yellow/green buttercream and decorated with pink sugar orchids, rosebuds and baby blossoms.A bit different in style, this cake was also iced in a yellow/green buttercream and decorated with pink sugar orchids, rosebuds and baby blossoms.